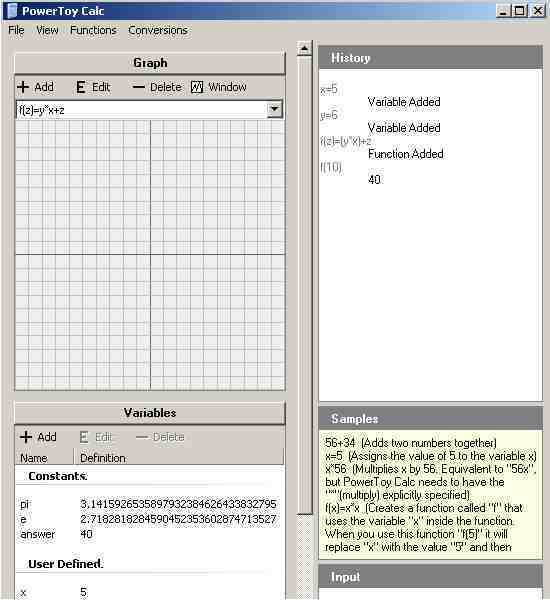 For Windows Vista users, you can easily download Windows 7 calculator from softpedia. Just right click the calc.exe and send to desktop. You can also put it in System32 folder to replace the old calc and have it work via run. For Windows XP users, the Windows 7 calculator may not work, so instead you'll need Microsoft's PowerToys which include a calculator called PowerCalc, which is very similar to the Windows 7 calculator. Just click the download links on the right in the Microsoft PowerToys website. It will appear in programs under start, called "PowerToys for Windows XP", just right click the icon and Send to Desktop to make a shortcut. Now you can enjoy calculating in style. Awesome, I was actually able to use it at work. Thanks.